(6 reviews) Write a review! Loft, Bounce, Shaft will change. Dexterity, Loft, Bounce, Shaft will change. Dexterity, Bounce, Shaft will change. Dexterity, Type, Bounce, Shaft will change. Dexterity, Loft, Shaft will change. Dexterity, Type, Loft, Shaft will change. Dexterity, Loft, Bounce will change. Dexterity, Type, Loft, Bounce, Shaft will change. The Mizuno T7 Wedges are the first Mizuno wedges to be constructed out Grain Flow Forged 1025 Boron. The significance of this is that the grooves on the club face will stay sharper for longer than previous models. The Quad Cut Grooves technology with the T7 wedges provide maximum spin in every condition. 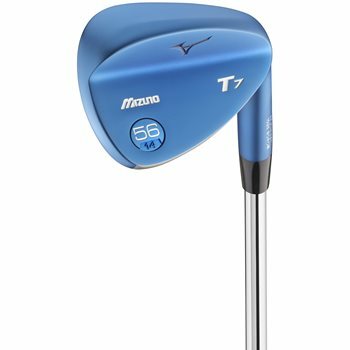 Finally, the T7 Wedges have loft specific head shapes and sole grinds which give these clubs pin-point accuracy and exceptional feel. Clubs in Very Good Condition have been played with and cared for in an appropriate fashion. The markings that you will likely find on Very Good Condition products will show typical wear of models of its age. All of the wear is purely cosmetic, and will not in any way affect the performance of the club. Among the wear that you may see on clubs in Very Good Condition: NOTE: Some wedges are designed to rust over time. This is not considered adverse wear. 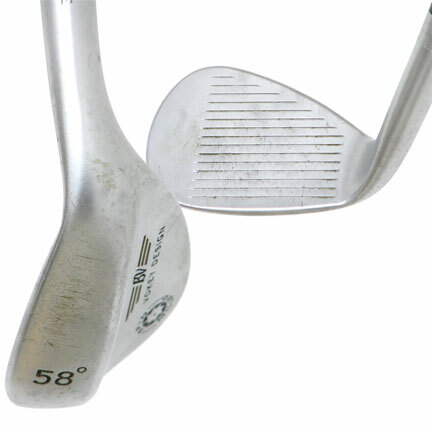 Normal ball marks on the face with minimal groove wear; minor scratching on the sole and in the cavities; no significant wear on the shaft. I really love this club I have the 50 degree and I can get about 115-120 yards out of this club it works great on my approach shots and driving on a par 3. This club is very responsive and feels a lot like my JPX900 Forged Irons. Absolutely stunning wedges. They play phenomenal. I have the 46/50/56/62 and each one plays exactly how I want them to. Great spin on each wedge, drop and stop play so you can really attack the pin on a full swing shot. Great out of bunkers and tight lie's. I can't make a single complaint about these. Custom engraving is great to! $140 forged wedge for $69? Excellent! The grooves were completely in tact with minor cosmetic blemishes (which did not affect function at all obviously). From now on, all my wedges will be mizuno forged and probably used through Global Golf! Had this wedge now for one month. Good action on the greens. Way better than the sand wedge I lost. I have chipped in two from behind the bunker since I got it. Great addition to my bag. Thanks Global guys.